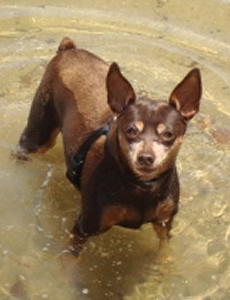 Cinnamon is a miniature pinscher and senior member of Life Planning Law Firm, P.A. She performs a variety of duties at the law firm, including mascot, greeter, and sentry for UPS and Fed-Ex deliveries. She likes to meet clients and eagerly accepts dog snacks and deep tissue massages. Her accomplishments include serving as a loving companion for Kevin’s late parents, swimming continuously for 200 yards in West Falmouth Harbor on Cape Cod, and catching and releasing a squirrel.